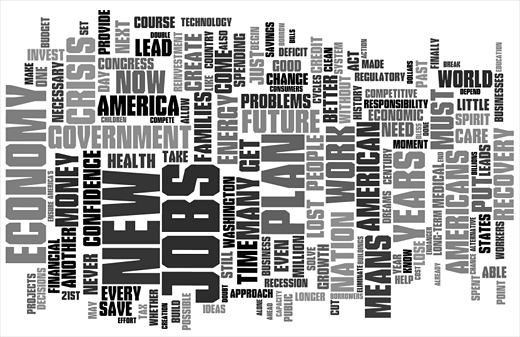 Moments after Barack Obama took the oath of office, a new White House website was launched where President Barack Obama has published his agenda for the new administration. 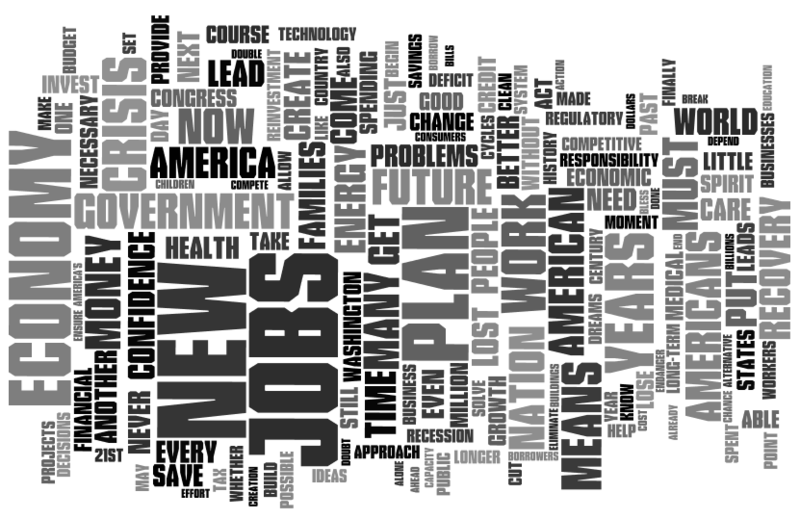 In reading The President’s American Recovery and Reinvestment Plan, I thought it would make for an interesting text cloud. The new site also includes the addition of a White House blog and an online briefing room that allows visitors to sign up for e-mail notification of major announcements and decisions, and to submit their own ideas. User participation seems to be the theme of both the site and new economy. This entry was written by Brian McNitt, posted on at 11:42 am, filed under Business, Web Development and tagged blog, economy, mcnitt, obama, technology, web, white house. Bookmark the permalink. Follow any comments here with the RSS feed for this post. Post a comment or leave a trackback: Trackback URL.